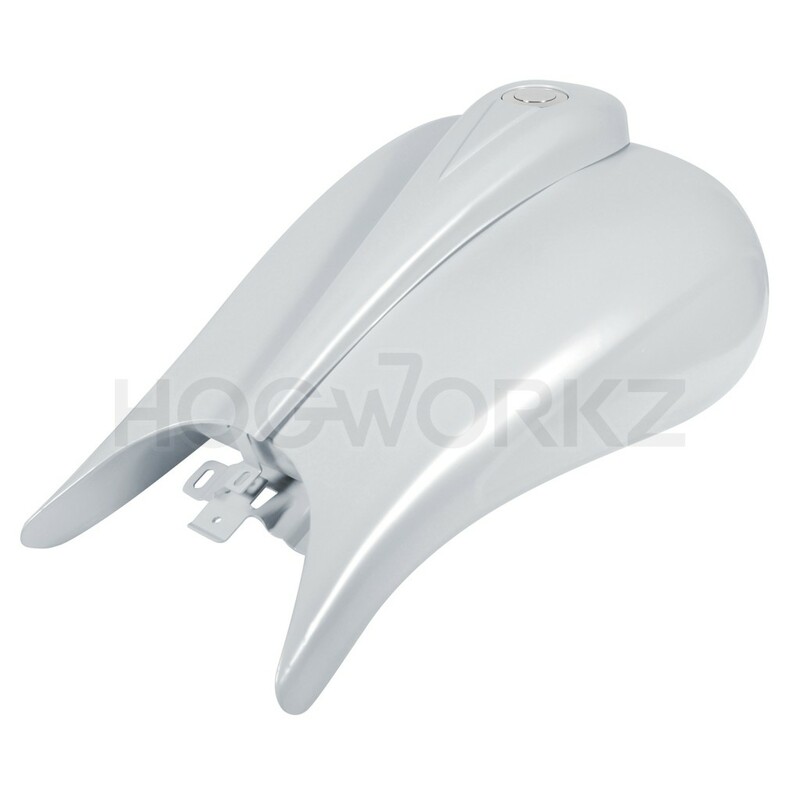 Set your bike a cut above the herd with our Stretched Bodyarc Fuel Tank! Our tank's quality and whopping 6.6 gallon capacity make this a functional, yet artistic addition to any '08-'17 Touring models. Flowing lines create the perfect stance for your stretched out bagger. Our tank kit includes custom dash, chrome pop-up gas cap, rubber trim, and mounting brackets pre-welded to the tank. Base coated and rust free, this tank is ready-to-paint! Always fit and test gas tanks before painting. HogWorkz will not warranty after painting.